When is a construction worker’s car accident considered a work injury? A car accident can result in many complications that can keep construction workers off the job for months, including broken bones, traumatic brain injury, joint damage, neck and back injuries, or spinal cord injuries that can result in paraplegia or quadriplegia. If you were involved in a crash while in the service of your employer, you may be entitled to workers’ compensation benefits for medical costs and lost wages resulting from the accident. Employers will only provide workers’ compensation benefits for vehicle accidents that are “work-related,” but the definition of work-related can vary from workplace to workplace. Although any injury sustained at the work location is often covered, employees also qualify if they are injured during work-related travel or if they are away from the job site in order to do a task that benefits the employer. 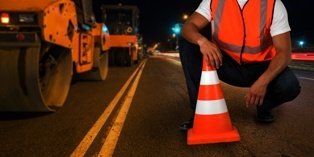 If a driver strikes a worker who is standing near the roadway, the injured employee can not only collect workers’ compensation, but may also be entitled to file a lawsuit against the driver for pain and suffering damages. An employee who is driving a delivery van, truck, bulldozer, or other vehicle may collect compensation when these vehicles are involved in an accident. In addition, the worker may file a third-party lawsuit if the injury was caused by poor vehicle maintenance or defective parts. If an employee is struck by a co-worker who is operating a car, truck, dump truck, or other heavy equipment moving in and out of the construction zone, his or her injuries would be covered by workers’ compensation. Workers may be denied benefits if they are injured when they are “off the clock,” such during lunch breaks or while traveling to and from work. However, there may be an exception for off-the-clock injuries if the injured worker was running errands for an employer, such as picking up coffee and bagels for the whole team before work, or dropping off a package for the employer on a lunch break. Employees may be covered if they were asked to drive their own vehicles to pick up additional construction materials, shuttle co-workers to the owner’s other work sites, make work-related deliveries, or bring clients to view a property. Have You Been Injured While Working On A Construction Site? If you've been hurt while working at your construction job you need to speak with an experienced construction accident attorney as soon as possible. Please feel free to contact us online or call our New York City law office directly at 212.465.8840 to schedule your free consultation. You can also read through our FREE brochure, Hurt in a Construction Accident? You’re Not Alone. 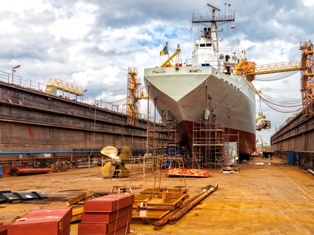 What is my maritime injury case worth? This is often one of the first questions that our clients ask us. Whether they are injured maritime workers or they have lost a loved one in a maritime accident, the people who come to us want an end to their financial and emotional burdens and proper payment for their pain and suffering. Unfortunately, there is no easy answer to how much a person may recover by filing a maritime injury lawsuit. Every case has its own variables, facts, and legal issues that will determine the potential value of the case. That said, there are certain types of damages that can be recovered, and typical factors that influence these kinds of cases. While each case is different, many of our clients are able to recover compensation for monetary losses related to the injury. This often includes medical expenses, rehabilitation costs, past wage losses, and the ability to earn a living in the future. There may also be an amount recoverable for pain and suffering damages. Liability. A case will not be worth anything if an injured party cannot prove fault. We examine whether negligence can be proven, and whether the strength of the evidence is sufficient to convince a defendant to settle or convince a judge of negligence. The severity of the injury. We examine the total and combined costs of the injury, including how much they have already cost and how they are likely to impact the seaman’s future. If the injury has resulted in disability, we must estimate losses that result from the seamen’s inability to work again, or vocational losses caused by early retirement or changing jobs. Defendant’s financial condition. The amount and limits of the defendant’s insurance greatly impact potential recovery, as does the defendant’s conduct with regard to safety and adherence to state and federal laws. We encourage you to find out more about your rights if you have suffered from a maritime injury. Contact one of our New York and New Jersey maritime accident attorneys today via our online contact form, or call 800-362-9329 and let an experienced maritime injury lawyer provide you with an opinion about how much your maritime injury case is worth. For more information on your case, be sure to download your complimentary copy of Are You a Seaman Injured in a Maritime Accident? Know Your Rights. What is the Public Vessels Act? The Public Vessels Act (PVA) is a federal maritime law that was enacted to grant compensation to injured parties onboard U.S. government ships. Before the PVA, workers injured on “public” vessels (owned or operated by the federal government) could not sue for damages because the United States was immune from injury lawsuits. Today, domestic and foreign workers who are injured while working on a government-owned vessel can sue the government to recover medical payments, lost income, and other damages. The PVA applies to maritime cases where an injury occurred during the course of employment by the government, on board a government-operated vessel, or a government-owned vessel that is operated by a private contractor. Citizens of other countries may also qualify to file lawsuits under the PVA, as long as similar laws exist for the benefit of U.S. citizens in the non-U.S. citizen's country. 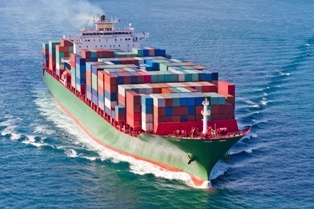 Just as in other types of injury cases, an employee will have to prove negligence to win maritime injury compensation. This includes providing evidence that the U.S. government's negligence contributed to a worker’s injury or death. Overcome the discretionary function exemption. The government may be exempt from liability in cases where the worker had the ability to use his or her own judgment in performing the action that led to an injury. 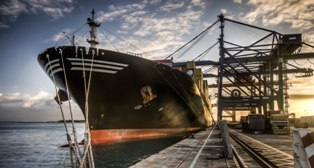 An experienced maritime law attorney can carefully examine federal laws or policies to determine whether the worker had an element of choice in performing his or her duties. File before the statute of limitations. Although there is a three-year period in which to bring claims under general maritime law and the Jones Act, Public Vessels Act cases must be filed within two years after the injury or death occurs. If you have suffered an injury aboard a government vessel, our maritime personal injury attorneys can determine who may be liable and what you are owed under the law. Contact us online or call (800) 362-9329 today to speak with a maritime lawyer at Hofmann & Schweitzer or download your complimentary copy of Are You a Seaman Injured in a Maritime Accident? Know Your Rights today. Can I pursue a third-party claim and a workers’ compensation claim? New York construction workers should file for workers’ compensation as soon as possible after an injury in order to get payment for their medical bills and lost wages. 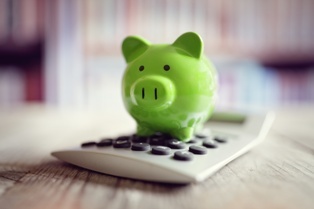 However, workers’ compensation benefits are limited in how much compensation they provide—and the amount received may not cover the full costs of a serious construction accident. In these cases, a third-party claim could provide additional payment for a worker’s pain and suffering, permanent losses, and reduced quality of life. Construction employees can file third-party injury claims while they are receiving workers’ compensation benefits, but they should be aware that the two claims are very different. For one thing, employees are required to prove fault in an injury claim in order to receive damages. In addition, the negligent party will have to make a case to refute the charges against him or her, which may involve going to court. While construction workers are generally limited in their ability to sue an employer after a work injury in New York, they may be eligible to file an injury lawsuit against the general contractor, subcontractor, or owner of the property. 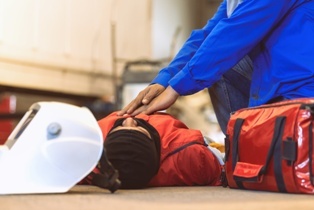 In addition to collecting workers’ compensation death benefits, surviving family members may file a wrongful death lawsuit against a negligent party to recover a construction worker’s medical care related to the fatal accident and permanent loss of income and support. Injuries or deaths involving construction equipment could lead to a product liability claim against the manufacturer or distributor of the equipment. A manufacturer may be liable if the equipment was defective, poorly designed, assembled improperly, inadequately tested, or did not warn users of the risks involved. One caveat with pursuing a third-party claim is that courts generally do not allow double recoveries for the same injury. Simply put, if your workers’ compensation benefits paid for your medical bills and your third-party settlement includes payment for medical bills, your employer’s workers’ compensation insurance company may place a lien on the proceeds of your injury case. However, the workers’ compensation insurance company is only entitled to recoup the benefits they have already paid to an injured worker. If you have been injured on a New York City construction site, our attorneys can get you the compensation you are owed. Simply fill out our quick online contact form or call (800) 362-9329 to speak with a personal injury lawyer at Hofmann & Schweitzer today. We also invite you to read through our FREE brochure, Hurt in a Construction Accident? You’re Not Alone. What is the status test for compensation under the Longshore and Harbor Workers’ Compensation Act? Since 1927, the Longshore and Harbor Workers’ Compensation Act (LHWCA) has provided federal benefits to some maritime workers who are hurt on the job. According to Section 2(3), only maritime workers who are performing certain job-related tasks are eligible for LHWCA benefits. These people may be able to recover workers’ compensation benefits in other ways. However, if you are one of the people who does qualify for LHWCA benefits pursuant to the status test, then it is time to consider whether you also meet the requirements for the situs test found in section 3(a) of the law. Your time to file for federal workers’ compensation benefits pursuant to the LHWCA is very short. Accordingly, we encourage you to contact our New York maritime injury lawyers today for a free and confidential consultation about your rights. We will make sure that you pursue a fair and just recovery pursuant to the right law. Call us or start a live chat with us now to learn more. When Does the Longshore Act Apply? How Is a Claim Made Under the Longshore Act? What is the situs test for compensation under the Longshore and Harbor Workers’ Compensation Act? The Longshore and Harbor Workers’ Compensation Act (LHWCA) is a federal workers’ compensation law that provides benefits to some maritime workers who are hurt on the job. In order to qualify for LHWCA benefits, an injured maritime worker must meet the specific eligibility requirements of the law. The situs test involves where you were when you suffered your injuries. When the LHWCA originally became law in 1927, it only applied to maritime workers who were hurt on boats that were on navigable waters. Over the years, this definition was found to be too limiting. It excluded maritime workers who were on land but who were working on building, fixing, loading, or unloading vessels. Maritime workers who are far from the water will, therefore, not be eligible for LHWCA benefits because of the situs test. You may meet the requirements of the situs test, but to qualify for LHWCA benefits, you are also going to have to meet the status test. 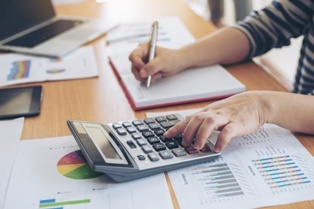 If you satisfy the requirements of both the situs test and the status test, then you may be able to receive compensation for a good portion of your income and compensation for all of your injury-related medical expenses. To learn more about your rights and about whether you may qualify for LHWCA compensation, please contact the experienced maritime lawyers of Hofmann & Schweitzer today. You have a very short amount of time to file an LHWCA claim, and you don’t want to miss the deadline. Call us or reach out to us via this website today to schedule your free initial consultation. How much does a maritime injury lawyer cost? Most injury victims hesitate to seek legal representation because they are unsure whether they can afford an attorney. The truth is that for many injured maritime workers, the amount they stand to gain is far greater than the costs of an attorney’s fees—and most of the legal costs can be paid after the case has been settled. Some attorneys charge clients by the billable hour, assessing a flat fee for each hour spent working on the case. However, this method may not be ideal for injury victims who are struggling financially after to an accident. As a result, injury attorneys offer alternative fee structures to give victims access to their legal rights without incurring any upfront costs. The majority of injury cases are taken on a contingency fee basis, meaning the attorney receives a portion of the amount he or she recovers for the victim. The attorney covers all upfront expenses, including filing fees and court costs. If the victim’s case is not successful, the victim will only have to pay the attorney’s out-of-pocket expenses—the victim will not owe the attorney any fees. Legal expenses (such as hiring experts to testify, hiring an investigator or photographer, document copying, and records requests) are not part of an attorney’s fees, and must be paid whether or not the case is successful. However, in a contingency fee arrangement, these costs can be deducted from the settlement rather than paid out of the victim’s pocket. Injury attorneys will want to make sure a maritime injury or Jones Act case is valid before agreeing to represent the client. By offering a free consultation, the attorney can determine whether the maritime employee has a right to recover legal damages, and victims can get the legal advice they need at no cost to them. Our nationwide maritime injury lawyers have experience in all aspects of maritime law and personal injury law, and can advise you on your rights free of charge. Contact us online or call (800) 362-9329 today to speak with a maritime lawyer at Hofmann & Schweitzer or download your complimentary copy of Are You a Seaman Injured in a Maritime Accident? Know Your Rights today. 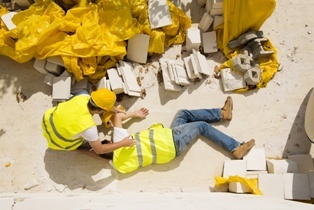 How can I determine whose negligence caused my construction injury? A construction site is a bustling environment, and it can be difficult to tell exactly who could be responsible for the cost of medical bills and lost income when an injury occurs. An attorney can help discover why the accident happened, find the negligent party, and obtain justice and compensation for the victim. The law applies a doctrine of negligence to establish the person or persons who may held liable for an injury. A person may be liable if he or she had a duty of care to the victim, breached that duty of care, and caused direct harm and losses as a result of that breach. However, not all parties owe the same level of care to construction workers, and establishing negligence may quickly become complicated. Construction site owners are more likely to be found negligent if they allow dangerous conditions to exist on the property, or if they are involved in the day-to-day operations of the work. Employees who are gravely injured can also include an employer in a construction injury lawsuit against the owner of the property. The general contractor is tasked with ensuring the safety of all workers on the construction site, informing construction workers of any potential hazards or unsafe conditions, hiring competent employees, and enforcing safety regulations. A subcontractor may be named in a lawsuit if he or she failed to perform safety regulations and duties for a specific task on the project. Design professionals have a responsibility to create plans that are in compliance with building regulations, perform routine inspections on the construction site, and ensure that the building is being erected according to specifications. Our New York City construction accident attorneys can examine the details of your case to see which third parties may be responsible, as well as work to get you the workers’ compensation benefits you are owed. Simply fill out our quick online contact form, call (800) 362-9329 to speak with a personal injury lawyer at Hofmann & Schweitzer today, or read through our FREE brochure, Hurt in a Construction Accident? You’re Not Alone. Like all employers, shipowners are required to provide their employees with a reasonably safe work environment. If the vessel is not safe for navigation, the maritime employer or shipowner can be named in a negligence lawsuit, allowing the injured seaman to recover injury costs and punitive damages. 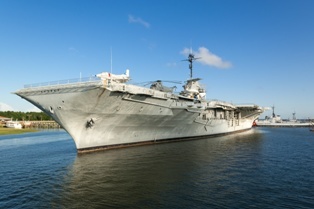 A ship does not have to be in disrepair or completely unable to sail to be rendered “unseaworthy.” In order for a vessel to be considered seaworthy under maritime law, the vessel must be suitable and able to perform its specific and intended functions without placing seaman at unnecessary risk. 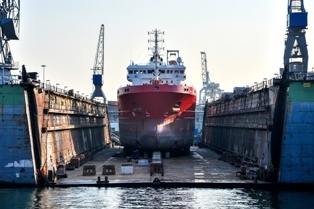 All parts of the ship, including the hull, structure, decks, and equipment, must be adequately maintained and regularly inspected to ensure they are fit for use. A vessel may be unseaworthy if it attempts to perform work (such as towing or dredging) that it was not designed to do. A vessel may also be flawed if the original design specifications made the ship inherently unsafe. Any one component that is dangerous can render the entire vessel unseaworthy, such as cranes, winches, lines, cables, or other necessary equipment. Since the crew is necessary to the function of the ship, an inadequate crew can be considered an unseaworthy condition. An inadequate crew member could be one that is drunk on the job, was not properly trained for the specific work being performed, or otherwise caused a seaman to be injured in the course of his duties. In a Jones Act negligence case, the burden of proof on the injured seamen is very light. However, the injured seamen will still have to establish a direct link between the unseaworthy condition and the injury. Our maritime accident lawyers know what evidence is required to prove negligence in unseaworthiness claims, and can advise you of your rights at no cost to you. Contact us online or call (800) 362-9329 today to speak with a maritime lawyer at Hofmann & Schweitzer. You can also download your complimentary copy of Are You a Seaman Injured in a Maritime Accident? Know Your Rights today. How does the Jones Act protect injured seamen from retaliation? If you are a maritime employee who is assigned to a vessel, you are likely eligible to receive compensation under the Jones Act after an injury on the job. Like state workers’ compensation, the Jones Act is a federal law that provides wage and medical benefits (called maintenance and cure) after a work-related injury, and makes it illegal to retaliate against a worker who files a benefit claim. However, the Jones Act also gives injured seamen the right to sue their employers and shipowners for negligence. If you file for compensation under the Jones Act, it is illegal for a shipowner or employer to fire you for exercising your right to benefits. It is also illegal to threaten a seaman’s job to prevent him from filing a Jones Act claim. This is called “retaliatory discharge,” and it can carry serious consequences for the shipowner as well as benefits for the injured worker. Unfortunately, many employees do not know this, and attempt to cope with an injury with no way to pay for their medical bills. If you are terminated or laid off as a result of seeking injury or wage payments, you can collect additional damages for the hardship you suffered as a result of the discrimination in your injury case. If you lost your job because you were injured, you have the right to be compensated for the wages you would have earned if you had not been unfairly terminated, plus interest. Any unfairly terminated employee must be reinstated to his or her former position with the same pay and privileges of original employment. An employer who is found guilty of retaliatory discharge may be ordered to pay for the injured worker’s attorney fees, expert witness fees, and litigation costs. If your employer fired you after you filed for benefits, it may lend extra weight to your injury claim. Call (800) 362-9329 today to speak with a Jones Act lawyer at Hofmann & Schweitzer or download your complimentary copy of Are You a Seaman Injured in a Maritime Accident? Know Your Rights today.